For a little change of pace here at the blog, I thought I’d share my latest artistic project. Did I mention that I’m a crafter? Over the years, I’ve dabbled in a lot of different mediums. I work with acrylics, polymer clay, wood, glass and found/natural objects. 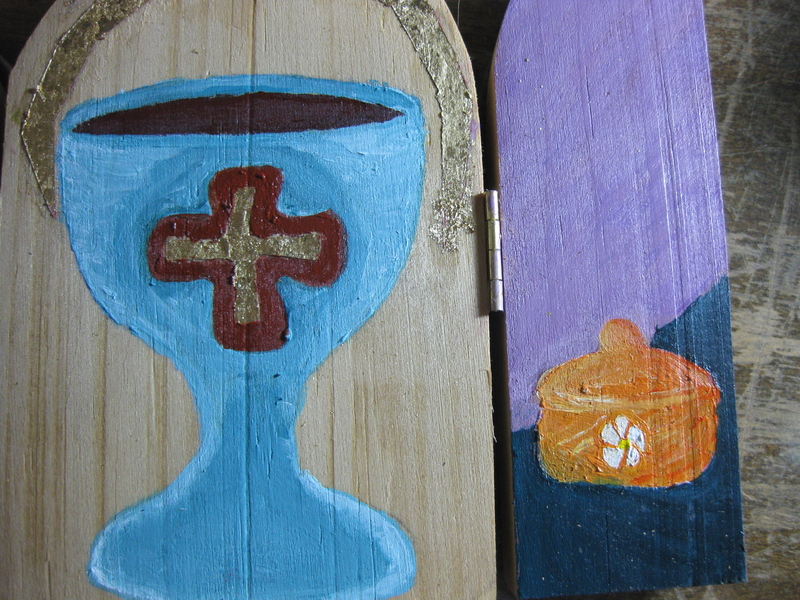 Most of my work these days, like the above icon for Mary Magdalene, are devotional pieces to Gods, saints or spirits. 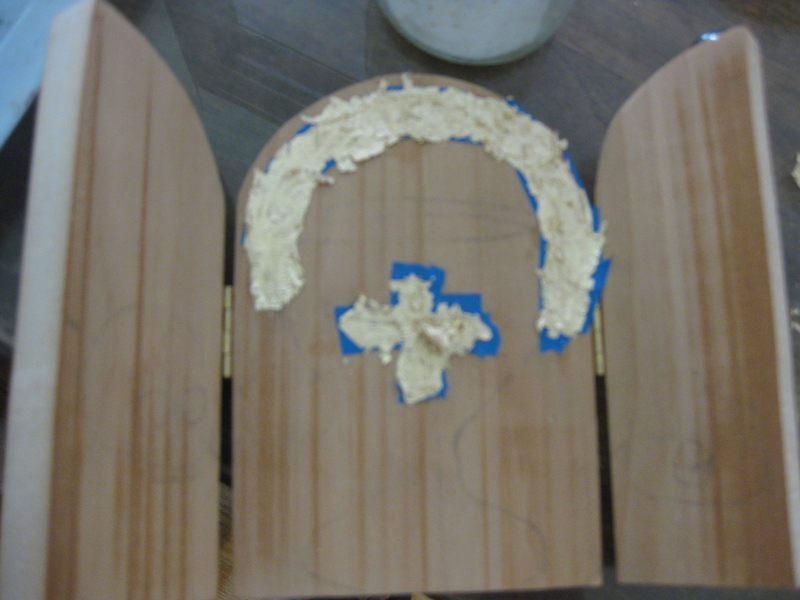 I love old Byzantine iconography and, though, I’m not at a level to create something that intricate (YET! 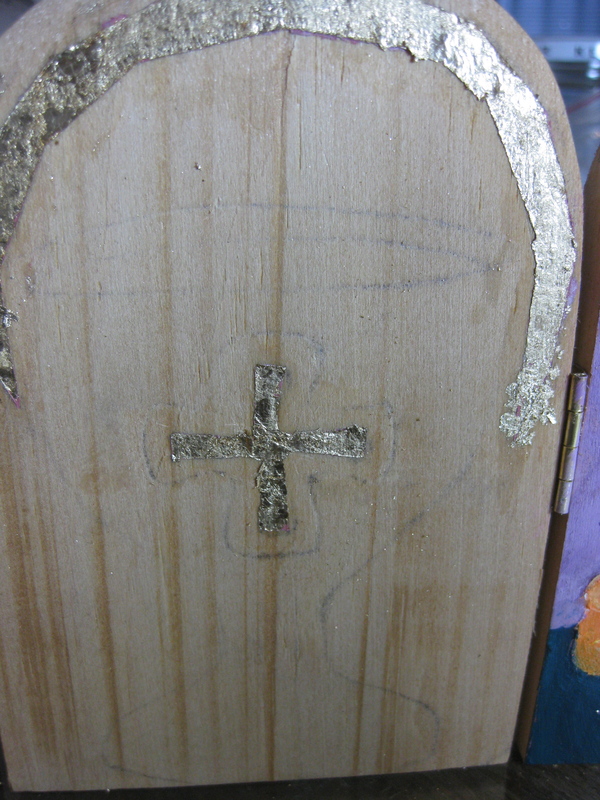 ), I’ve been meaning to try my hand at using gold leaf for a while now. Many of my pieces end up on my personal altar, but I’ve been trying to break into the world of online selling (shameless plug: http://www.etsy.com/shop/phoenixphyrearts). I’ve only had one sale thus far and all my listings expired, but I’m hoping to start making pieces more regularly as I’ve been feeling more inspired. However, with only two weeks until I start my job, I will start focusing more on lesson planning. With the upcoming strike of the Chicago Teacher’s Union, I will finally have education-themed things to talk about. 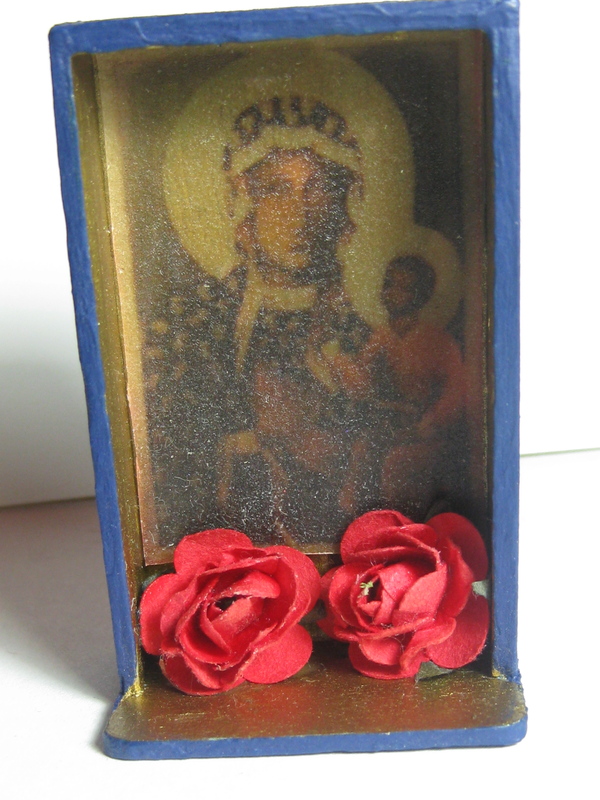 In the meantime, I’ve been enjoying spending hours at my craft desk working on the above devotional and other pieces. In the past, I’ve made mini shrines to various entities. Below is just one example. I love working with my hands and making art. It energizes me and clears my head. It is also a way to show my love for the God/spirit. 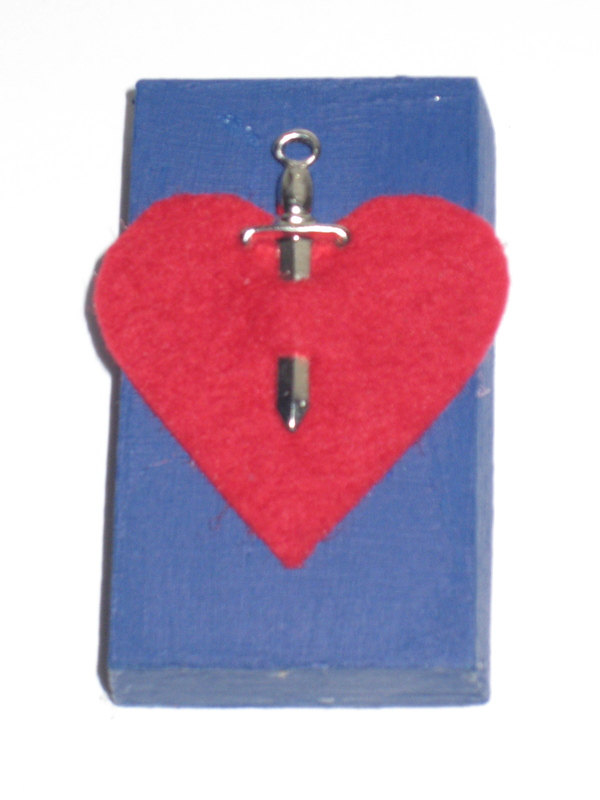 Occasionally, though, I end up making something for an entity with whom I’m unfamiliar. The first shrine I made was a devotional to Jormungandr/World Serpent. I didn’t even know who or what Jormungandr was when I started. I was staring at a blank wooden box and, in my mind’s eye, I saw a serpent. At first, I wasn’t sure what to do with that. Then, after some research, I learned what Jormungandr was and the rest is history. Even if I’m familiar with the God/spirit, I always do a bit of research beforehand as I decide which aspects/energy I want to depict in the finished piece. I’m always discovering new stories, new information about deity. The research is often just as exciting as when I sit down to create. My hope is always that my work is not only pleasing to human eyes, but also to those Gods/spirits for whom the piece is made. Although, I’ve always been a creative person, I haven’t always had skills, per se. I took as many art classes as possible throughout my formative years. Ceramics was always my favorite. However, in college I never took advantage of the resources and expertise of the faculty. I never thought that I’d be crafting for anyone but myself and I definitely never thought I’d be trying to sell any of my work. Despite lack of training, my skills have somehow improved over the years. A couple years ago, the above sketch would never have been that clean. I used to have difficulty drawing straight lines or curves and drawing things freehand was often a disaster. 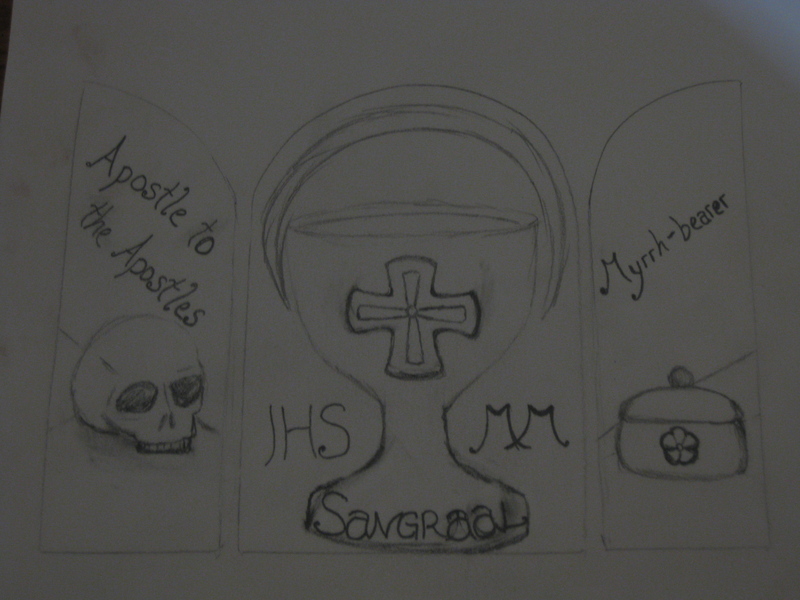 Now I’m drawing skulls and other objects freehand! One day, I hope to be able to draw realistic faces and bodies. It’s something I’ve been working on and I’m getting better at, but I’m still not “there” yet. Soon, though. Three years ago, when I did my first painting post-middle school, it was very flat looking. Thanks to years of watching Bob Ross, I knew how to create highlights on trees and water, but still everything looked 2D. Now, I’m experimenting more with color gradients and creating depth and, in my latest work, the chalice actually looks round! And though I’m no stranger to color theory and mixing, and I’ve owned a color wheel for years, I’m just now understanding how to use those colors to get the look I want as opposed to just mixing pretty colors. It’s all very exciting and encouraging. I’m looking forward to making more time to draw and paint and craft all kinds of things. 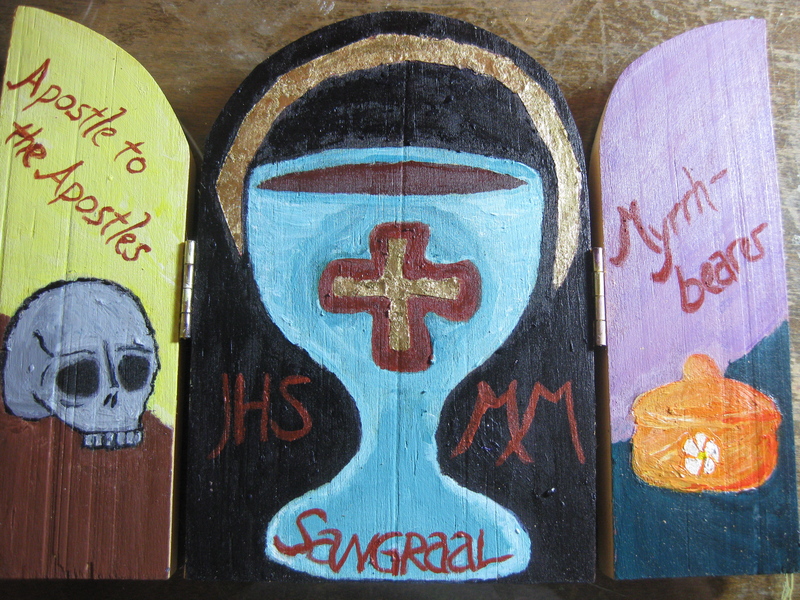 At the moment, I have a couple more blank wooden triptychs that I can’t wait to start working on. Future pieces will be up for sale. My Mary Magdalene piece is going on my personal altar along with my other Marian icons. Be on the lookout for future updates regarding the upcoming CTU strike and my experiences as a new teacher in the Chicago Public School system. 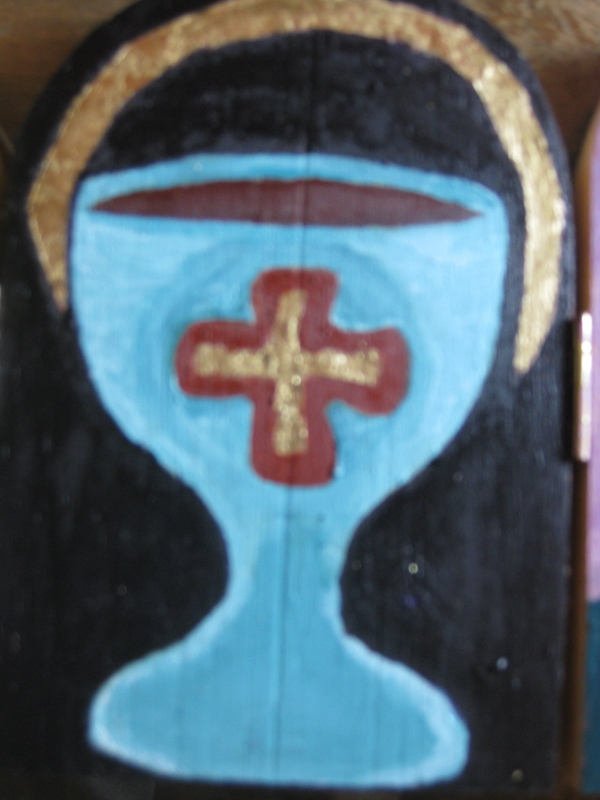 This entry was posted in art, faith, new beginnings and tagged art, chalice, devotional, holy grail, iconography, Mary Magdalene, religion, sangraal, spirituality, triptych. Bookmark the permalink.